The first Catalan derby of the afternoon in Barcelona ended with a draw (1-1). Marc Cardona's goal gave the hosts a share of the points after Nàstic had gone ahead through Kakabadze. From the kick-off, both teams wanted to wrestle control from the other to neutralise their opponents threat, and as such, the midfield was congested throughout the first half. Beyond two deflected shots for Barça B, one from Nahuel and one from David Costas, there wasn’t an awful lot to get excited about. Ortolá wasn’t troubled either, the visitors playing a long ball game but to no one in particular. The match dynamic changed after the break with a whole host of opportunities for either side. 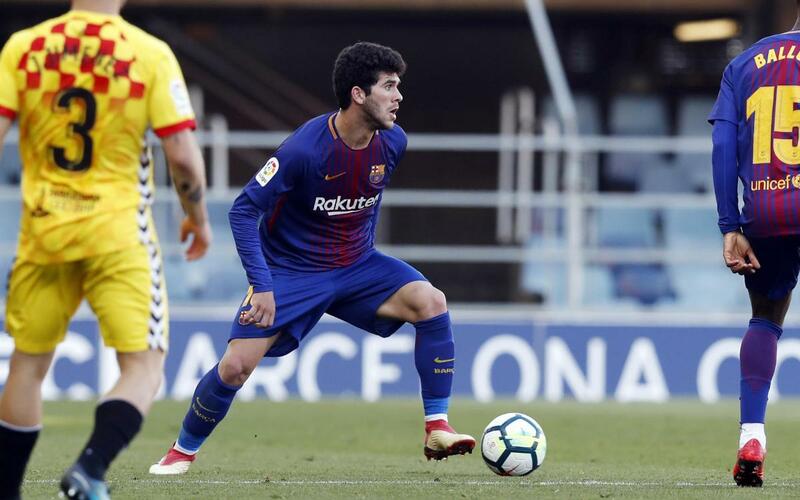 Barça B went close through Ballou (twice), and also Aleñá and David Costas. However, it was Nàstic who struck first. Kakabaze opened the scoring on 65, but just 12 minutes later, Marc Cardona connected with a shot that flew past the visiting goalkeeper. A final push didn’t bear fruit in the form of a goal, but the point for Barça B maintains the distance of one point in the standings with respect to Nàstic. The next match will be at home against Oviedo.